Art’s romance with anthropology continues. 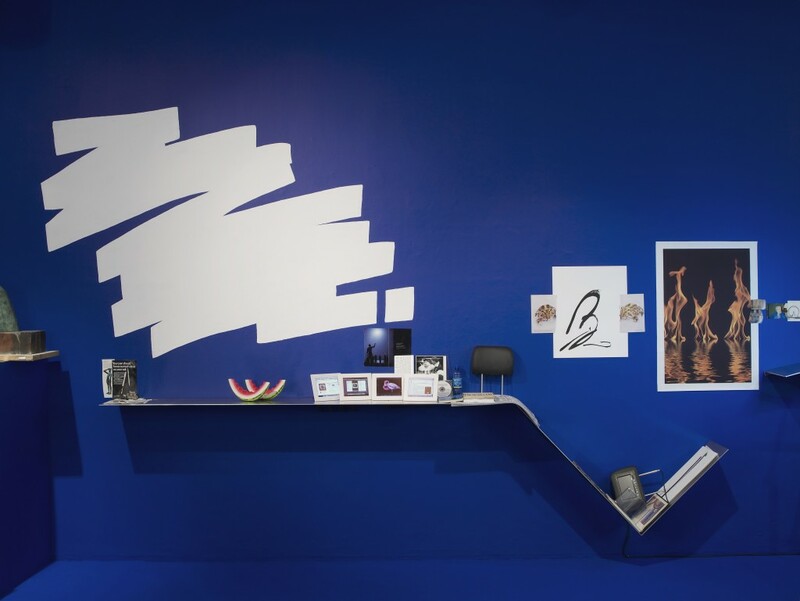 In French-born, New York-based Camille Henrot‘s first UK solo exhibition, The Pale Fox, at Chisenhale Gallery in London, the installation exemplifies the contemporary attraction to using quasi-anthropological forms and methods for navigating the cult of information. Horace Miner’s assertion that the cultural anthropologist’s task is to make the strange familiar, and the familiar strange, resonates strongly with artists working in the aftermath of the dissolution of the traditional art object in the 1960s, and the corresponding shift in focus towards discursive and social contexts. It’s a dangerous liaison: there is the ever-present risk of lapsing into primitivism, cultural tourism or misidentification, or fostering power imbalance or colonial ideologies. Yet the magnetism of anthropology is such that it has emboldened numerous artists to navigate the gauntlet between self-absorption and scientific over-rationalisation, and has emerged as one of the core artistic trends of the last thirty years. Henrot’s practice belongs to a subset of this trend that rids itself of conventional taxonomies and ordering systems, in favor of much looser networks and internal logics. This subset owes debts to the art of the 1990s, from the “self-consciously courted chaos” of scatter art, to relational aesthetics’ emphasis on nomadism, the personal encounter, and emotive pleasure. The Pale Fox is a case in point: a clockwise-flowing installation, escorted by a mutating aluminium ledge that also multitasks as a guide rail, a timeline, and shelving solution. This mess is orchestrated – behind even the most apparently incidental addition lurks a rationale. Motifs of eggs, snakes, spirals, twins, and hands recur – the juxtapositions make sense in amusing ways: a magazine advertisement for a pen hovers above a crossword puzzle; a photograph of a teary-eyed American footballer appears next to a CD promising increased self-esteem through Ultrasonic Silent Subliminal Programming. There is also a Grand Scheme – Henrot has overlaid the four walls of the white cube with other sets of four, including compass points, the elements (air, water, earth, fire), the stages of a human lifecycle, and principles drawn from Leibniz via Deleuze. The overarching metaphor for the installation is a book by the same name, The Pale Fox, Marcel Griaule and Germaine Dieterlen’s 1965 anthropological study of the Dogon people of Mali. The study is controversial for many reasons, including charges of fabrication and misapprehension, though the text itself it is a compelling reading. Its infamous and extensive symbolism is an equally attractive material for an artist whose interest is in locating connections and symmetries. At the center of this complex mythology is the character of the Pale Fox, the bringer of disruption and instigator of “life as we know it.” Described as a primordial being formed by supreme deity Amma, the tale is that the Fox tore himself from his twin in his impatience to be born, both creating and defiling the earth in the process, and condemning himself to wander alone. The Pale Fox is developed from Henrot’s research residency at the Smithsonian, which also produced her 2013 video work Grosse Fatigue, the smash hit of last year’s Venice Biennale. During her research, she identified the twinning of creation and destruction in other times and places, often as a condition of artistic or knowledge production. Museums, and ethnographic science itself, both originated with this rush to build catalogues of things before they were lost to colonial or industrial expansion. Today, lush depictions of disappearing natural phenomena appear in the pages of National Geographic; culture is still generated at the expense of nature. While Grosse Fatigue takes its form from the amalgamation and overlapping of pop-up windows on a computer desktop, The Pale Fox resembles both an artist’s studio, in its mix of clutter and posturing, and an illustrated timeline. This chronological structure maintains a filmic narrative, the medium within which Henrot’s practice originated. Yet, it is also a chronology with only the barest of quantifiers; time is reduced to progress at the same time it is rendered cyclical, reflecting the duality of human temporal experience. Ultimately, Henrot’s organising principle for The Pale Fox is not so much that of the Dogon people, as it is of Griaule and Dieterlen’s vision of the Dogon people. She is less concerned with source, and more interested in how it is reported and documented. Her fieldwork is to collect and organise the results of others’ fieldwork. Twice removed, filtered and warped, Henrot’s data is blurred only until a new framework is clearly defined. Content management and display structures become the content. In Henrot’s hands, the apparatuses of representation and communication form the basis of a quasi-anthropological information system. Whether her organisational strategy holds water or not is of no consequence; its very presence is a coping mechanism for the plagues of the Pale Fox: uncertainty, anxiety and isolation. 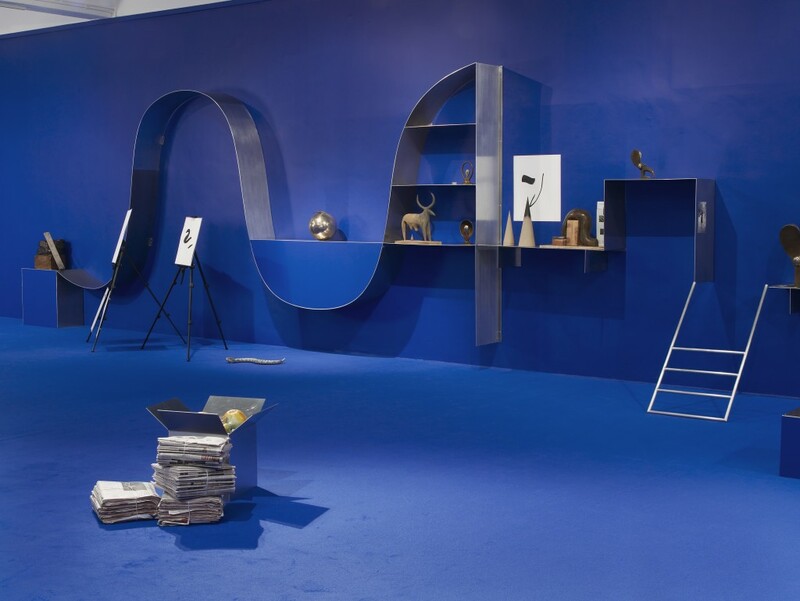 Camille Henrot: The Pale Fox at Chisenhale Gallery runs through April 13, 2014. Marianne Templeton (1985) is an Australian-born, London-based arts writer, artist, and curator. Hal Foster identified comparable causes for anthropology-lust in his much-cited essay The Artist as Ethnographer?, including the field’s engagement with alterity, culture, context and interdisciplinarity, and its alleged capacity for self-critique that “invites a reflexivity at the centre even as it preserves a romanticism of the margins.” Hal Foster, ‘The Artist as Ethnographer?’, The Return of the Real, Cambridge: The MIT Press, 1996, p 305. Jack Bankowsky, ‘Slackers’, Artforum, November 1991, p96. Parallels between the culture examined, and the examining culture, are of course also of interest to Henrot: for example, the anthropologists’ claim that the Dogon understand the universe as a living body chimes with contemporaneous Western attempts to re-map the dynamics of the natural world using the language and schematics of cybernetics, resulting in the popularising of the ecosystem concept. 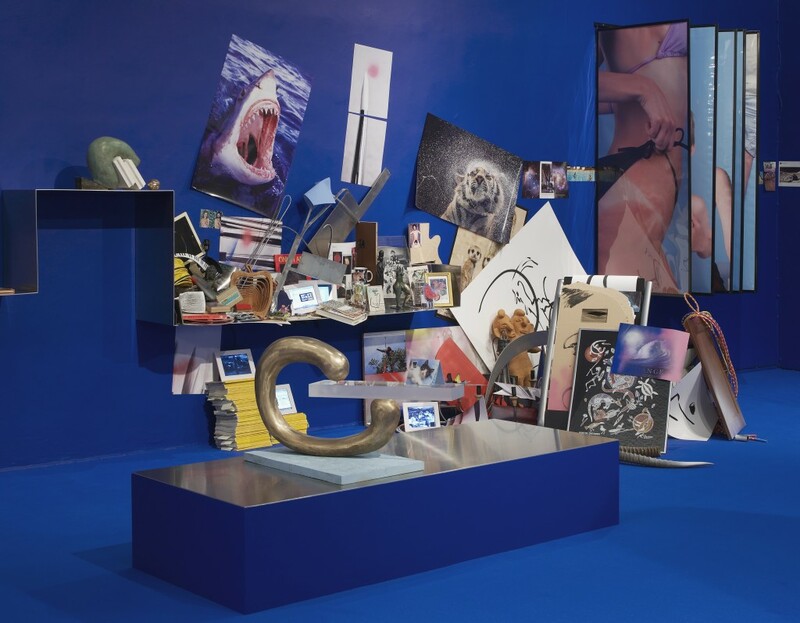 March 26, 2014 | Filed under Art Seen: International and tagged with Camille Henrot, Chisenhale Gallery, Marianne Templeton, The Pale Fox.